KUWAIT: The Capital Markets Authority (CMA) announced yesterday the start of the awareness campaign to launch Qualifications Examinations Project for Registered Employment Positions in collaboration with the Chartered Institute for Securities & Investment (CISI). The outcome of this Project is the Professional Qualifications Program (PQP), which the CMA will implement at the end of September 2019. 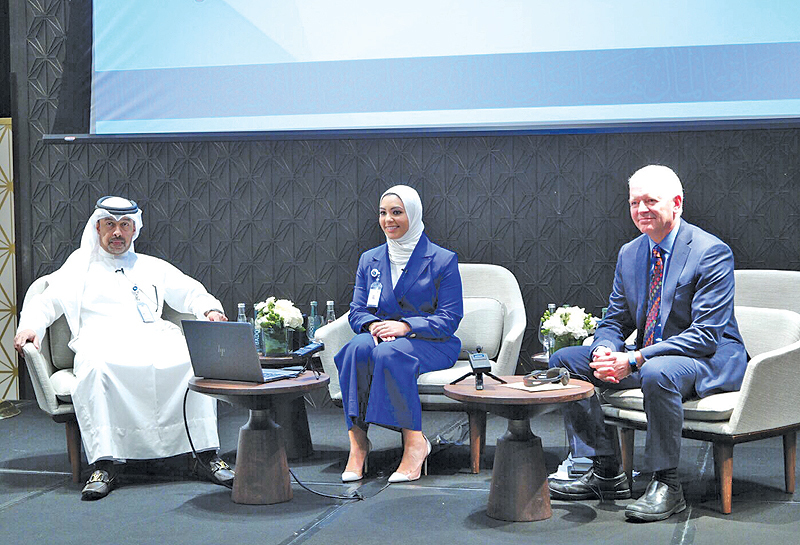 The CMA was represented by Prof Ahmad A Al-Melhem – Chairman of the Board of Commissioners and Managing Director, Khalid B Al-Mufarrej, Chairman of the Steering Committee of the Project, and Zahra Almousa, Head of the Project Team. The CISI was represented by Simon Culhane Chartered FCSI, Chief Executive of CISI. In the press conference, Prof Al-Melhem said that this Project is one of the important strategic approaches of the CMA, which is part of its integrated vision to develop the capital market industry. 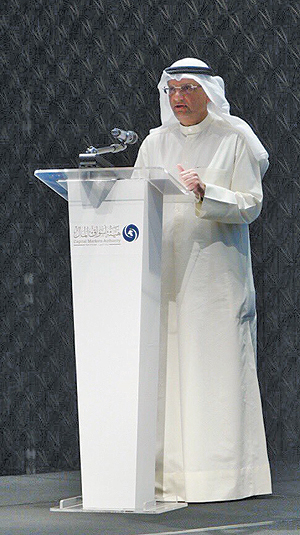 It is considered a quantum leap in the industry, in line with the vision of His Highness the Amir of the State of Kuwait Sheikh Sabah Al-Ahmad Al-Jaber Al-Sabah “Kuwait 2035 – New Kuwait”, regarding transforming Kuwait into a financial and commercial hub. The Project mainly aims to elevate competence and professionalism, technical capacity, and legal knowledge of Registered Employment Positions incumbents at licensed persons. Moreover, Culhane explained that the Project’s outcome, which is the PQP, follows best international practice, where the recipients of some of the qualifications included in the PQP are qualified to work in the financial areas of international institutions. The CMA also held a seminar on the launch of the Project, in which Prof. Al-Melhem delivered an opening speech, in which he pointed out that the importance of the Project lies in its focus on the human element which is the basis for economic and social development. He stressed that the CMA is keen to implement such Project with a leading international institute that has a wide international outreach. The speech was followed by a brief given by Khalid Al-Mufarrej about the Project and its implementation phases, and a detailed explanation of the Registered Employment Positions and licensed persons. CMA and the CISI presented a visual presentation, in which Culhane and Zahra outlined the framework and logistics of the PQP. The PQP consists of three qualifications: technical, regulatory and specialized, and an exemption policy set forth by the CMA. The implementation is divided into two phases; the first is the Preliminary Phase, which commences in Sept 2019 and the Mandatory Implementation Phase, which is one year after the preliminary implementation, ie at the end of September 2020. Additionally, the speakers reviewed the CISI qualifications, the scope of its work, its regional and international experiences and the advantages of obtaining the CISI membership. The CMA’s announced organizing a number of workshops for licensed companies and training entities and pointed that is has established a page on its website, which is scheduled to be launched next month. The CISI is a non-profit global organization with headquarters in London, United Kingdom. It is a leading professional institute specialized in securities and investment related fields. It helps individuals become professional by qualifying for professional exams, then maintaining their competence through continuing learning via being a member. The CMA has signed an agreement with the CISI in 2016 to develop qualifications exams, in accordance with international best practice, taking into account the nature of the local market.